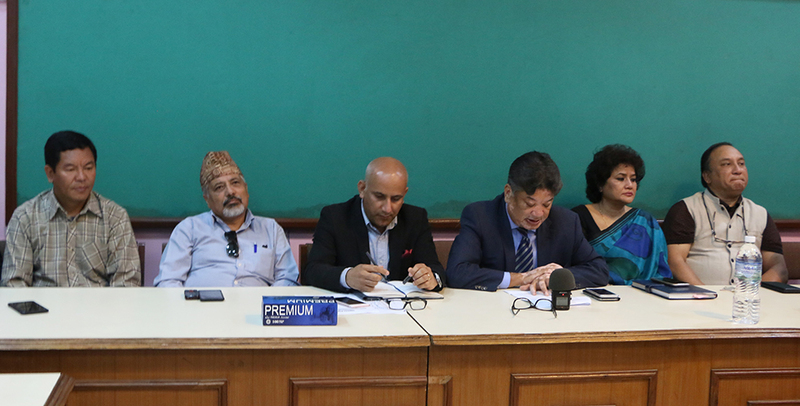 KATHMANDU, May 15: The second edition of Himalayan Travel Mart, an international travel trade show, will be held in Kathmandu next month to promote Nepal as an international gateway for tourism, the government announced here on Monday. The three-day event to be hosted by Nepal's Ministry of Culture, Tourism and Civil Aviation from June 1-3 will be organized under Nepal Tourism Board and other tourism related institutions. The travel mart is being organized under the theme "Sustainable Road to 5 Million Visitors" in support of the country's "Vision 5 Million" campaign", which aims to bring 5 million visitors to Nepal by 2030. According to organizers, the event will bring together world class speakers and industry leaders who will dwell on various issues including cinematic tourism, China outbound travel market, human capital development, adventure and sustainability, global accessibility, wellness and medical tourism, and gastronomy, among others. The event will also feature International Travel Bloggers and Media Conference which aims to promote Nepal as a most promising tourism destination. The session will bring together professional international travel bloggers, international media, travel photographers from across the world to observe, share and promote the beauty of Nepal. The bloggers will share their ideas upon digital marketing, branding, business promotion, importance of blogging and different dynamics of marketing and development of travel and tourism. Himalayan Travel Mart also features business session with the participation of global buyers from Europe, North America, South America, Australia, New Zealand, Russia, Asia and the Middle East with interest in Nepal and the Himalayan region.